Black Clay Pots can not only be used for serving, but also for cooking over direct heat or in the oven. 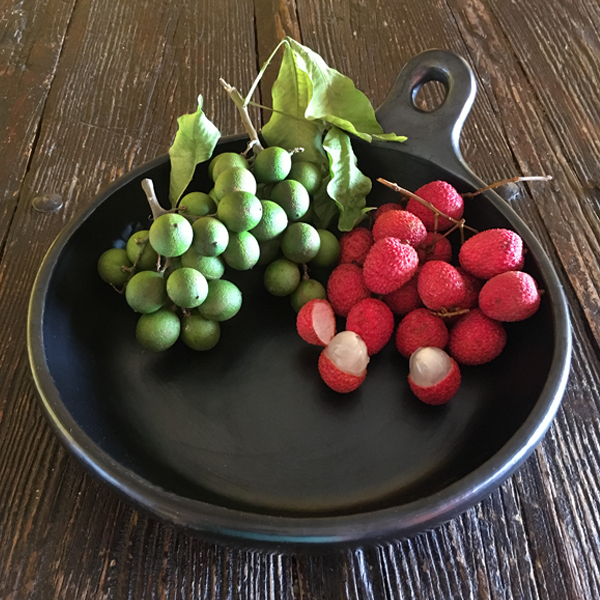 These Round Sauté Pans can be used to sauté and are great for making and serving sizzling dishes such fajitas. Its dramatic black color makes for a great presentation. This small pan is great for dry roasting spices because you have to heat it up slow,and stays hot long after removing from the flame. You could both cook and present with this. My complaint is not with the pan,but with the styrofoam peanuts the company ( not Amazon) uses to pack;those annoying environment unfriendly sticky nuisances should be banned.